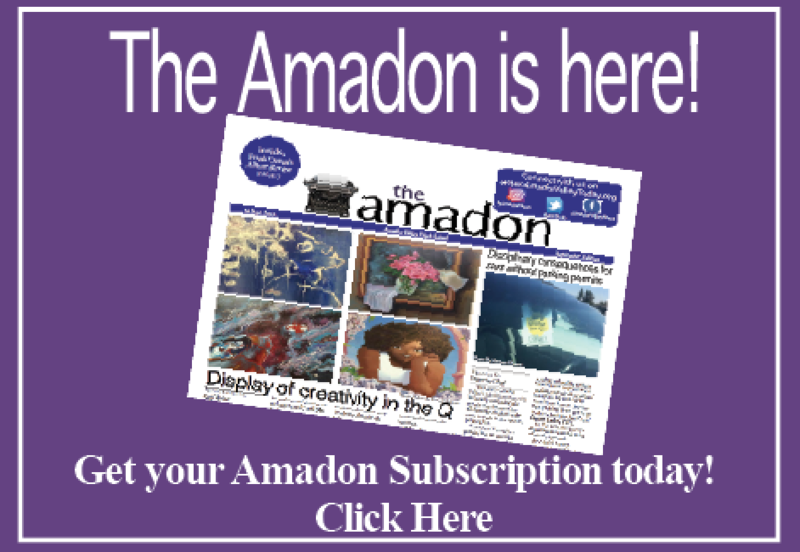 The week of November 5th, 2018 was an important week for Amador; students and staff were given the opportunity to learn more about disabilities and the different kinds of people the world has to offer. “I’m a Wheelchair Foundation Ambassador on campus, so we basically host disability awareness week, which is a whole week where we get to provide students with the opportunity to use a wheelchair for a day, distribute canisters so people can donate, play wheelchair basketball at lunch, and have an assembly at the end of the week. And that’s all to just raise awareness,” said Rachel Zhang (‘21). A select group of students play wheelchair basketball as a simulation to understand the difficulties of having a disability. Throughout the week, there were different events around the campus to bring more awareness towards common disabilities that many students have to live with everyday. 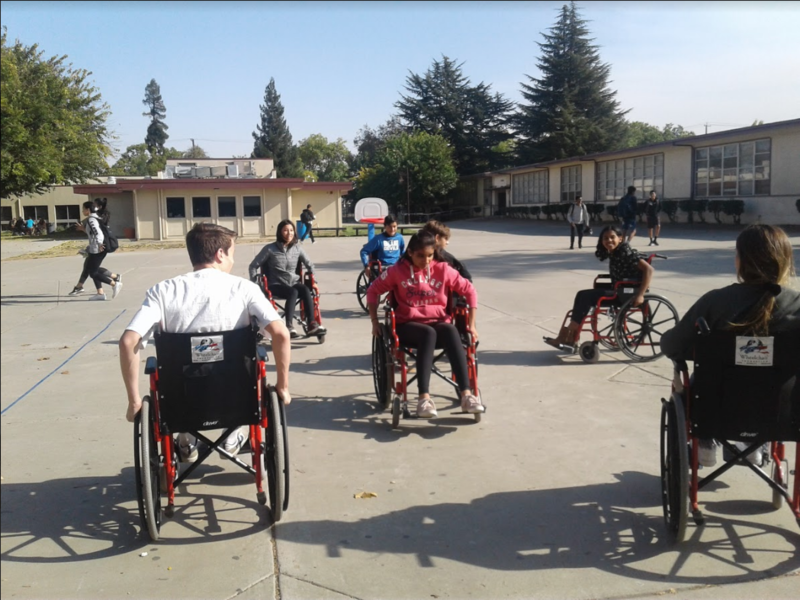 For example, on Thursday, a selected amount of students played basketball in wheelchairs during lunch. “I decided to be a Wheelchair Foundation Ambassador because I thought I could help voice concerns for people who don’t really have the opportunity to do it themselves, especially people in third world countries, who don’t have any forms of communication,” said Rachel Klein (‘21). There was also an assembly held on Friday, November 9, 2018, which was held to explain more about what the Wheelchair Foundation does and where the money that’s being collected in the classrooms is going. “I saw a flyer around school, which is what attracted me to the position. My grandfather is in a wheelchair, so I’ve seen how difficult it is to move around in a wheelchair, let alone without one, so I really wanted to get involved,” said Zhang. The assembly showcased a story of two men, Josh and Don Routh, and how Josh was able to continue living a regular life with a wheelchair. He explained that he can drive, work, and live alone while being in a wheelchair. “Josh was born here, but if he was born in a developing country he would not have had the same opportunities. We are helping give others a fighting chance,” said Routh. 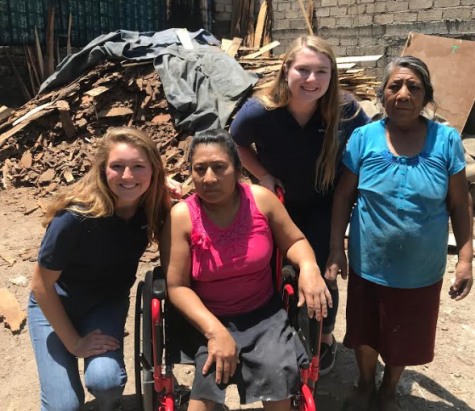 Abigail Fried (’19), Addy Mapes (’19), and Maddie Hildebrand (’19) give a wheelchair to a lady during their service trip to Oaxaca, Mexico. Three Amador students, Abigail Fried (’19), Maddie Hildebrand (’19),and Addy Mapes (’19), also spoke about their experiences with the Wheelchair Foundation and their trip to deliver some of the wheelchairs that the school raised money for. 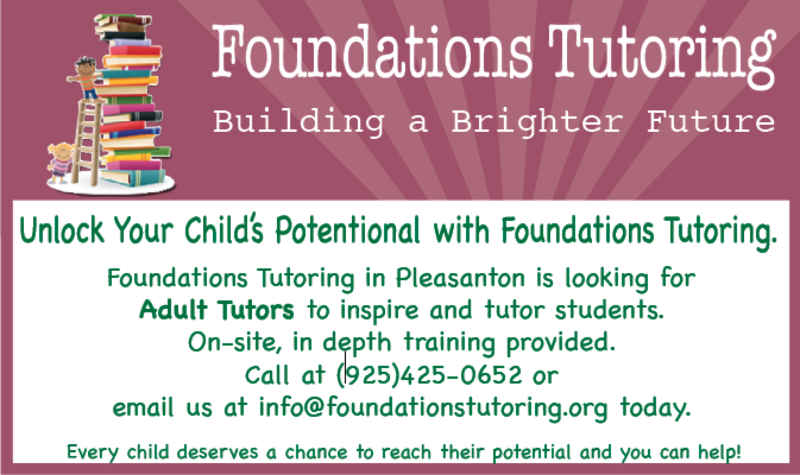 The foundation has revealed that if each student contributes approximately $2.00, then the school can make a serious difference for a person in need. Each wheelchair totals to about $150.00. 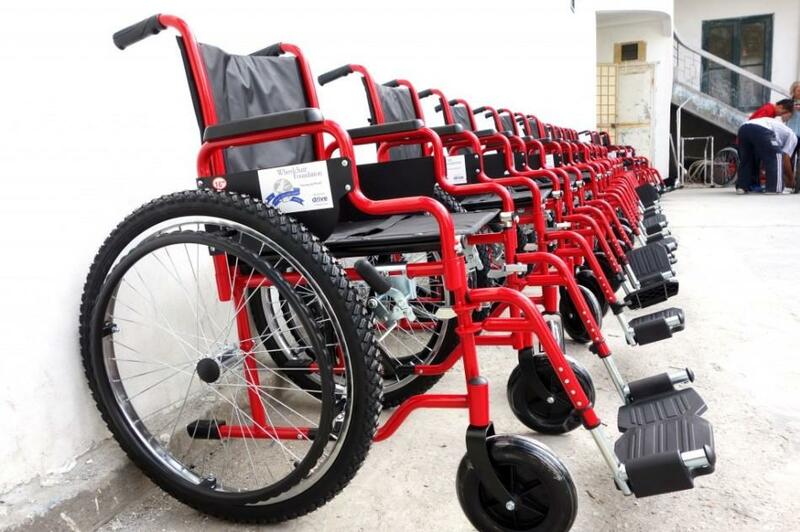 The wheelchair foundation provides hundreds of wheelchairs for people in need. Visit https://www.wheelchairfoundation.org/donations/ if you would like to donate or even just leanr more about the Wheelchair Foundation’s global mission.